"...staff who are committed to ensuring that each child is valued"
Here at Nettlestone Primary School we strive to ensure that all of our pupils are treated as individuals to promote happy, inspired, supported and successful independent learners. We are very proud of our community which are active, supportive and work in partnership for the best outcomes of the children. 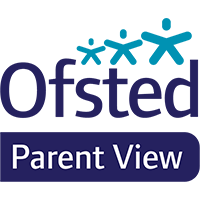 Our expectations of behaviour, outcomes, presentation and pupil achievement are exceptional and, with the help, support and involvement of our parents, our pupils make very good progress and have the best possible start to their education. 'We have staff of the highest calibre who are committed to ensuring that each child is valued, cared for and given every opportunity to reach their full potential.' They plan for a range of abilities and interests which is facilitated through our creative curriculum offer across the school. Our main aim is to teach 'the right stuff to the right kids in the right way at the right time!' and therefore we can be confident that all children will achieve. Our door is always open and as a staff we ensure we unlock every child’s potential through being a team that strives for 'changing lives for changing times'. Our school is a Primary School that admits children between the ages of four and eleven years old. We are a comprehensive co-educational day school. If there is any further information that you require, please either pop into the school or call us on (01983) 613171 and Mrs Ayling will be happy to answer your queries or provide you with paper copies of school information. If you haven't already visited us please come and see the school in action. We have a co-ordinated partnership for school admissions with the Isle of Wight Local Authority, school place applications are completed with the Admissions Team. Please see calendar for our latest events.